When I knit my first baby sweater for Hunter I didn’t know very much about knitting for babies. 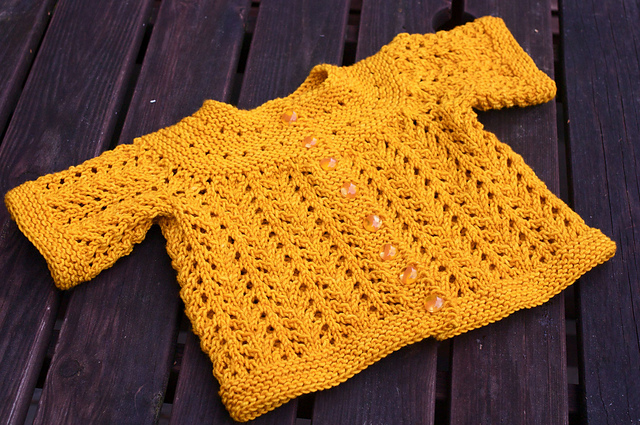 It was a yellow February Baby Sweater (pattern by EZ) and it was a fabulous bright yellow. 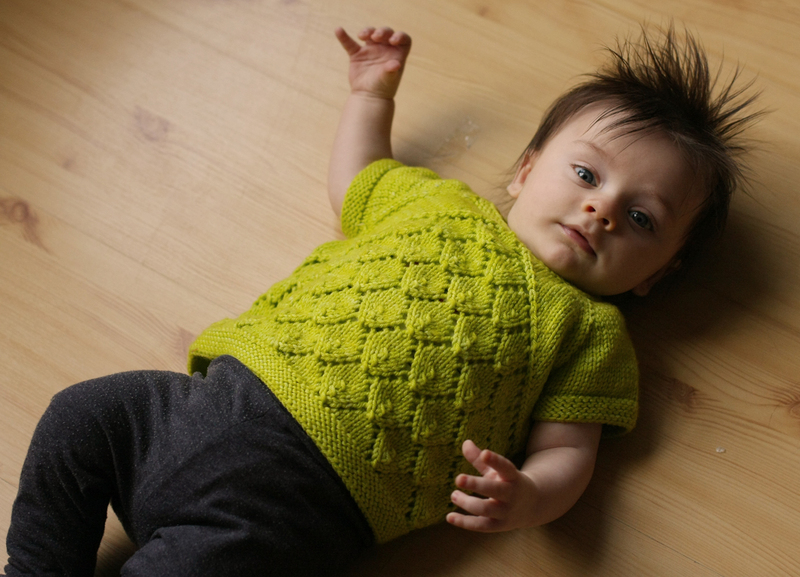 I brought it to knit night to show it off and a woman told me I shouldn’t have knit yellow, it looks terrible on babies and brings out their jaundice…it was a bit crushing. Since then Emily and I have produced four little ones between us and while that woman was wrong (all my littles look just fine in yellow) Em and I have learned a thing or two about knitting for babies. Here are our words of wisdom! Always knit a size up! Just knit one tiny sweater. One sweater that will fit them in those first days when you show your babe off to everyone. Then knit everything 1 size bigger than you think. Projects don’t always get finished in the timely fashion you intend and babies grow, just knit the size up and you’ll be fine. 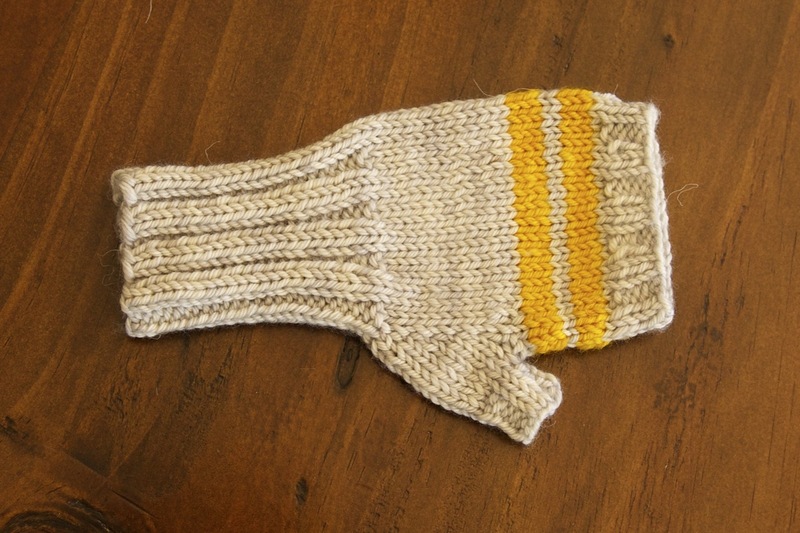 This one is more for toddlers but knit the cuffs long. Really long. They need to go almost to the elbow so that the mitten stays on that tiny little hand, and keeps cold and snow from getting at them. Short sleeve sweaters are awesome! Babies are all about the layers. They need their little arms free to flail about and they are always wearing a onesie under everything. 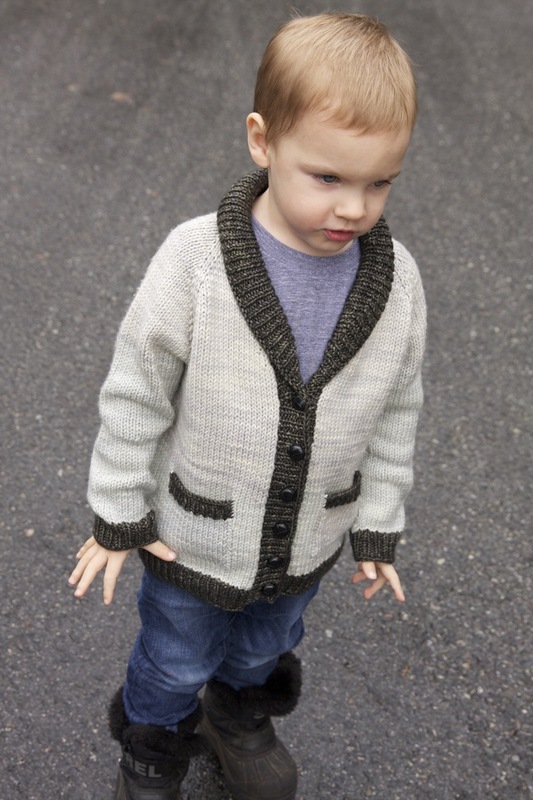 Short sleeved sweaters keep their little bodies warm and their arms free, it is a great match. 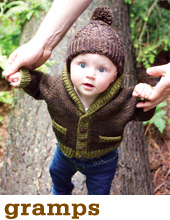 Babies can wear wool (yes, a select few will have an actual allergy, but I’m talking general rule here). People were ALWAYS telling me babies can’t wear wool or I needed acrylic for washability. I don’t. I don’t even need superwash (although if I’m gifting I do go with superwash), I hand wash little things all the time and it doesn’t take forever and it is fine. Need I say more? It just takes 3 seconds to get it over their squirmy heads and then it’s over. Don’t be a wuss. 6. Newborn heads really are that small… and baby heads really are that big 3 months later! 7. Back neck shaping is not needed on a baby sweater!!! They simply don’t have necks. You know that they will have necks eventually but as you can see…the really little ones just don’t. 8. 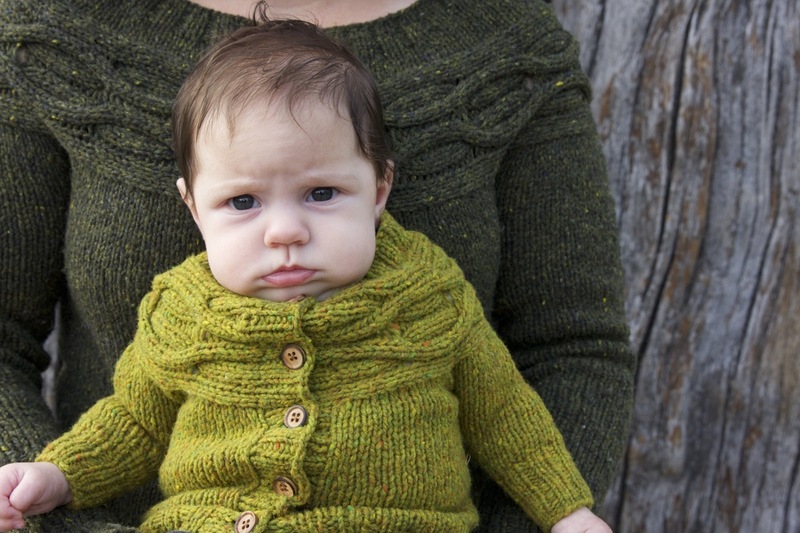 Wool sweaters are absorptive… perfect for drooly and barfy babies! They soak up all the nasty stuff! Wool has antibacterial properties so you are good to go! 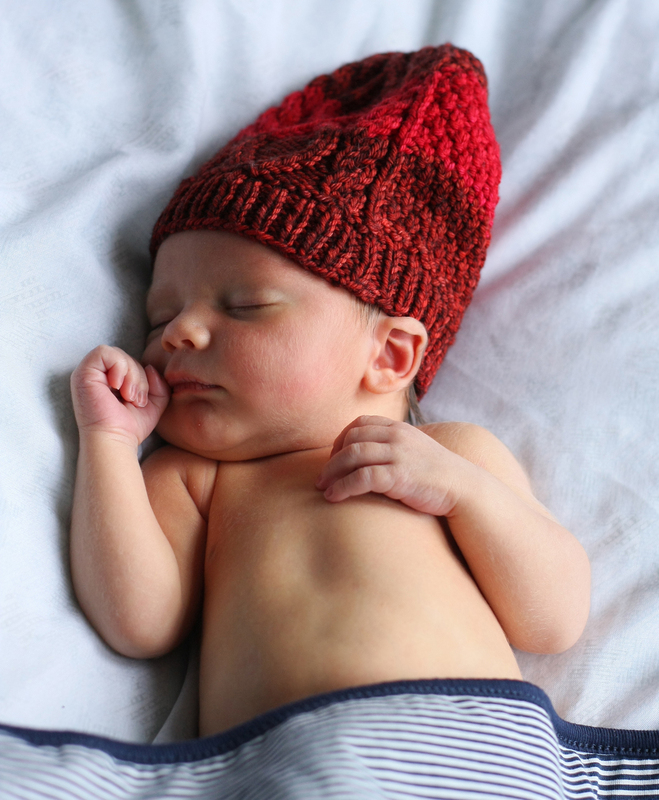 So go forth an knit for babies…and keep your eyes peeled for some new wee knits from TCK…coming soon! Do you have any great baby knitting tips to share? Share your ideas for a chance to win a Munchkin Jelly Bean Reversible Sling! Want to know all about our new collection the second it comes out? Say hello on Facebook, Instagram, Twitter, or Ravelry! i really like that post, so funny and so true ! And by the way, i really appreciate your work, teaching and designing. I can’t wait for your new book. Have two baby sweaters on my challenge list. Your patterns are the best ever. Love these tips – entertaining and oh-so-practical! I really appreciated the tips in this column. I haven’t attempted a sweater yet, although I picked up the Gramps pattern (and the Road Trip book) at Knit City 2014 and will take the plunge eventually. so right on! and such luverly photos of those babes & todds – thanks TCK! Wool is fine and dandy, but for people knitting on the cheap there are DK acyclic yarn. I’m knitting Michaels brand baby yarn for the Flax sweater (my first sweater). The color choice is slim, but enough yardage for a baby and or toddler sweater. Hobby Lobby has baby yarn and DK acyclic too. I knit all of Max’s wee sweaters in superwash wool, and they went through the washing machine MANY times. I live in the UK, so we don’t have a dryer, so I can’t comment on how they would hold up through many dryings, but with just the wash it was fine. Plus, the knitting is much more pleasurable in a lovely wool than it is in acrylic! I would put it on the air dry setting on the dryer. Beat hanging it outside, unless you’re into that. Timing is a guessing game. This is the best post ever! I totally agree with each point. I’m nodding aggressively as I read this, short sleeves, long cuffs on mittens, hand washing, don’t be a wuss! Love it! Great post. Thank you for all the great tips! Love your points about wool. In addition it is much safer than acrylic as it is naturally fire resistant. Also what a meanie in your knitting group. Babies look great in every color! Great tips ! It is just too bad they are growing so quickly, right ? Mine are too big now, but I still enjoy knitting for other people’s babies. These are excellent tips, and a few of them I would never have thought of. May I ask what the name of the darling green short sleeve sweater is? 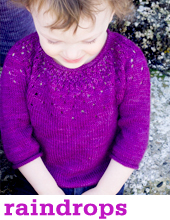 Hi Julie – it’s the Prairie Fire Pullover from our book Road Trip. 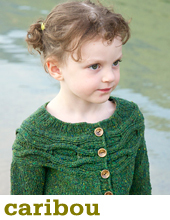 You can get the single pattern or the ebook here: http://tincanknits.com/pattern-RT-prairiefire.html . I made the green one for my little boy Max, but Alexa’s girl Hunter modelled the one on the webpage. Great advice and I so agree with the yellow on babies.